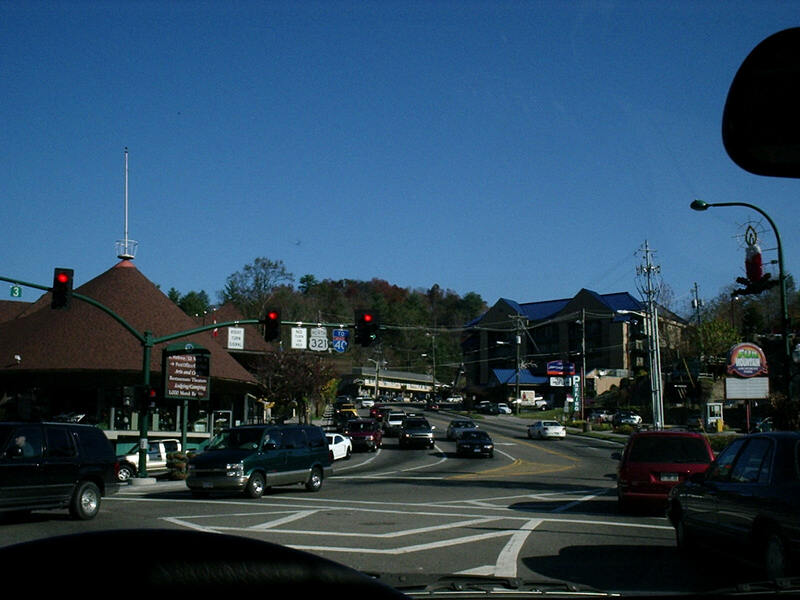 Two overview photos of the Parkway. 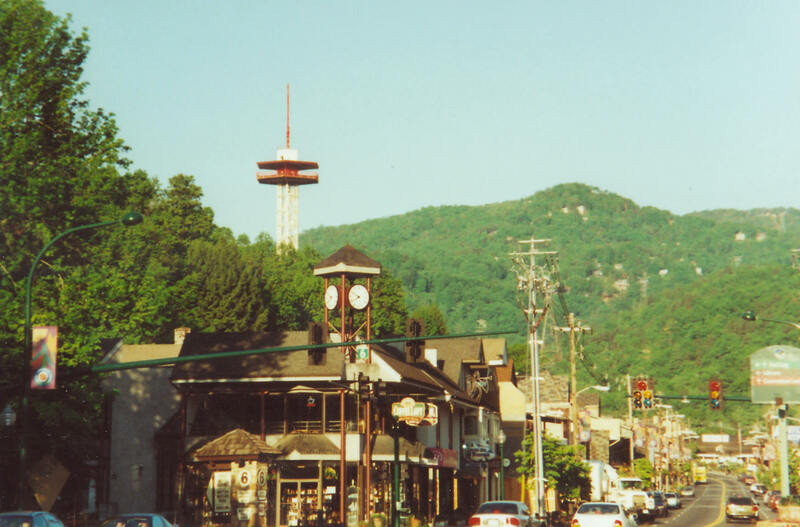 The one on the left was taken from the top of the Midtown Lodge tower back in the late 1980's when you could walk up the stairs to the observation deck for a dime. 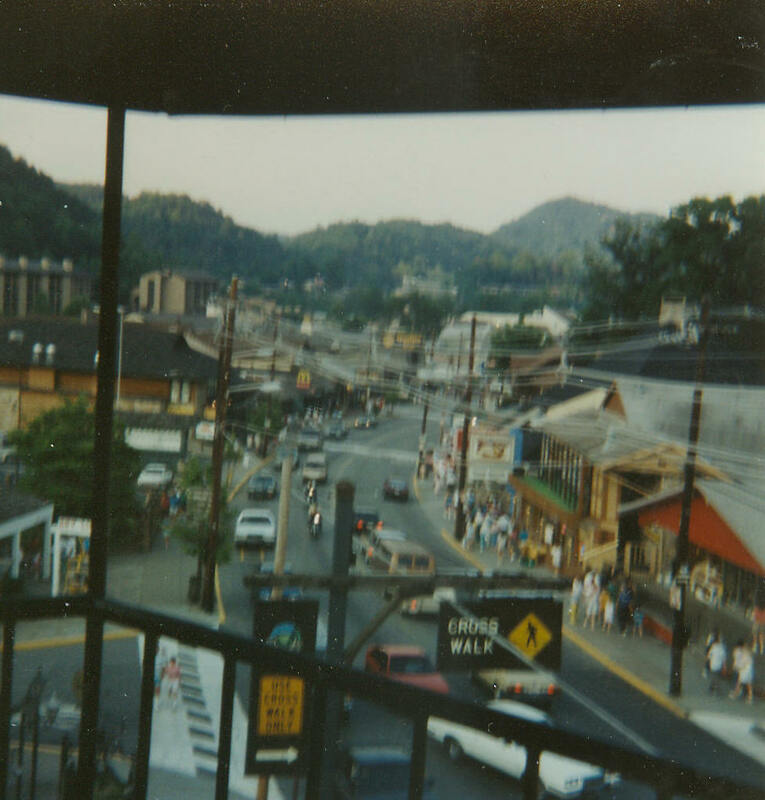 While it isn't the clearest picture in the world, you can make out the Waldo Pepper's sign. I believe the red building next to Waldo Pepper's is a wood sign shop, which you can barely make out the sigm for and For Heaven's Sake religious store which you can not make out a sign for. You can also make out the Cliff Dwellers building behind Waldo Peppers. The photo on the right which was taken in the early 90's from the top of the Space Needle also shows the Cliff Dwellers from the back side. Next to the Cliff Dwellers is a parking lot that has been went with the Cliff Dwellers. 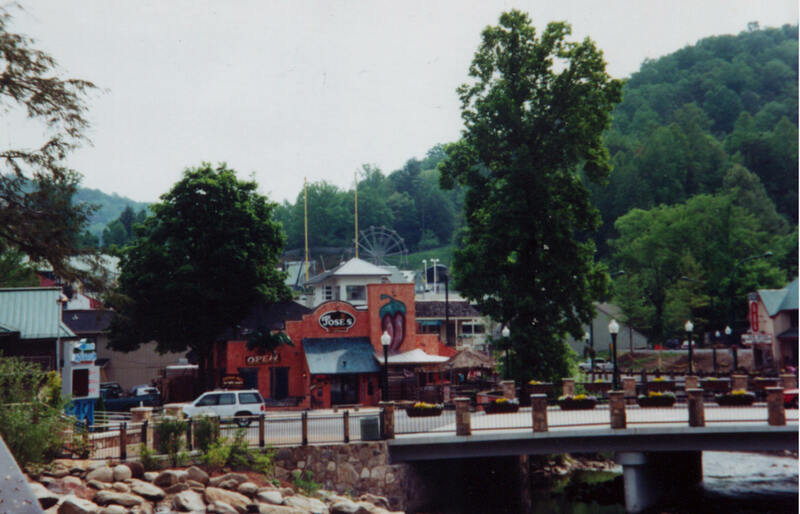 You can also see the little strip in front of the Riverside Motel before it was remodeled with the new facade. You can see the Edgepark Whaley Motel and the shop in front of it where Johnny Rockets and Loco Burro is now (as seen below). Also interesting to note is that the aquarium hasn't been built yet and there are other buildings in it's place. These two photos come from a couple old postcards which can be seen on the vintage postcard section. 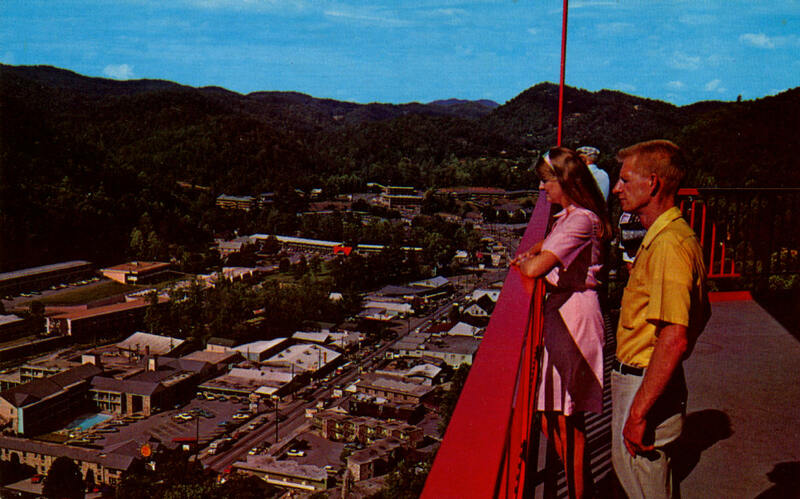 The one on the left circa 1960 shows the view from the Space Needle observation deck. This photo shows some kind of lodging court on the right side of the road. Also on the right side of the road a little farther down it looks like you can see a big sign for Howard's Restaurant. Both sides of the street look very different than today but the details are too tough to make out. 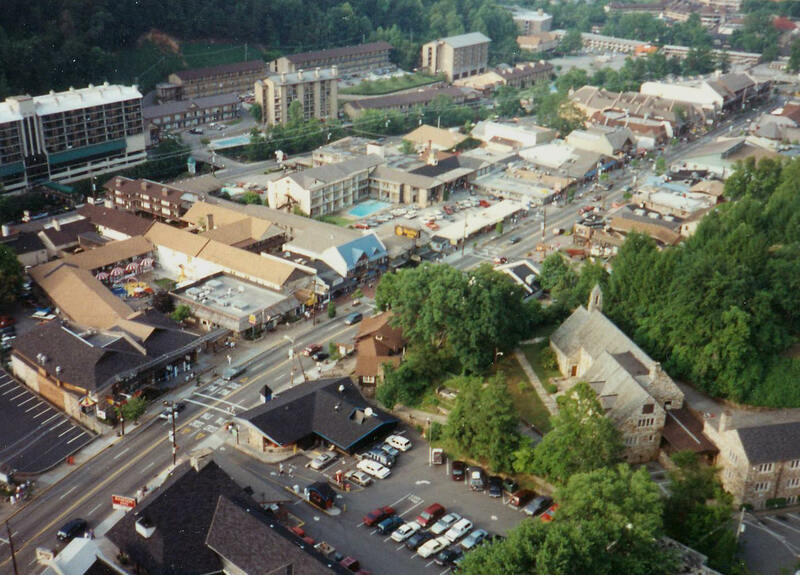 Notice that Mountain Mall has not been built yet, so that must be Ogle's first shop in Gatlinburg in that spot. The picture on the right show a very large parking lot looking north on the parkway towards the Space Needle. On the left side of the road you can see McKay's Motor Lodge and the old Gulf station. The building in front of the parking lot could possibly be the Parkway Restaurant and Cafeteria. 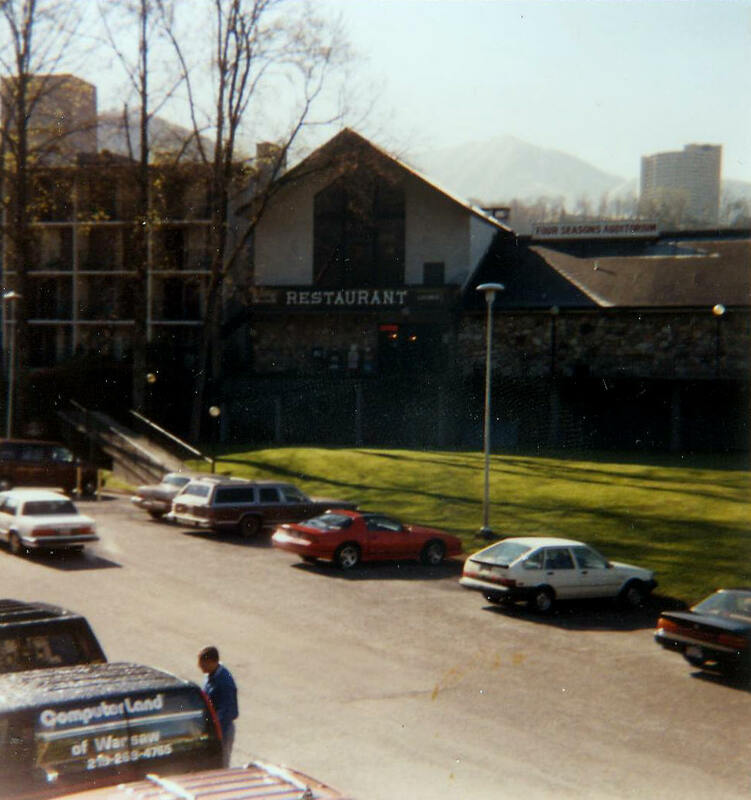 The photo on the left shows the Ramada Inn as it was known for many years. The photo on the right shows the side street entrance to the Ramada Inn. 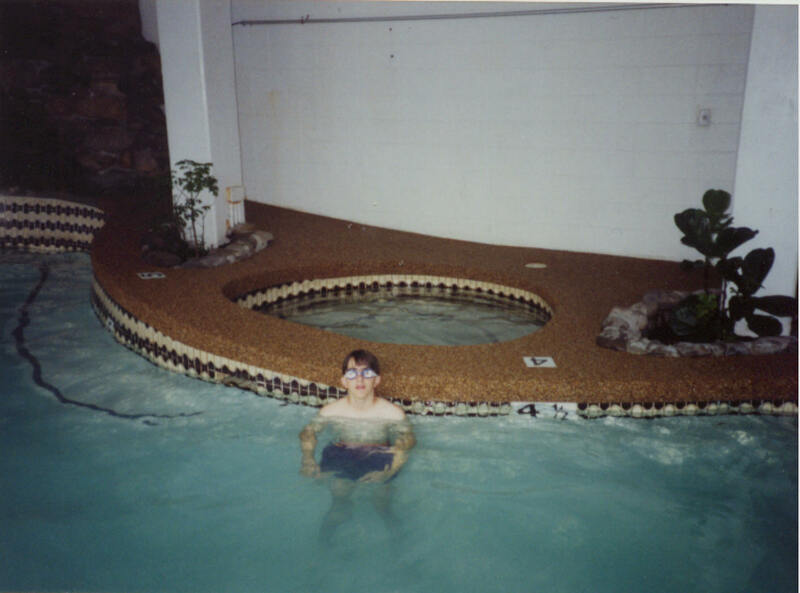 The photo on the left shows the outdoor pool at the Ramada Inn and the photo on the right shows the very warm indoor heated pool and whirlpool. 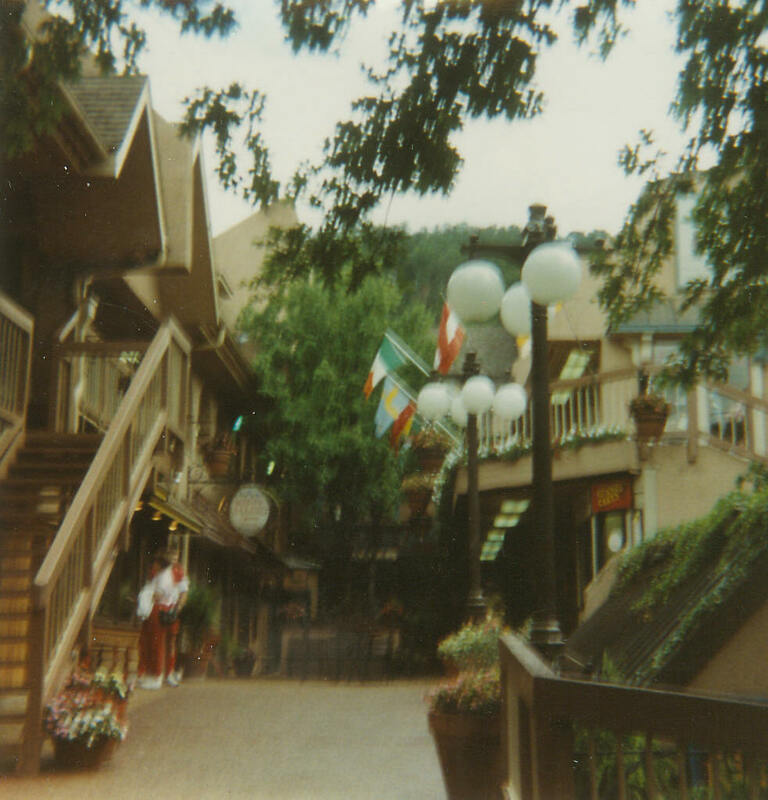 The photo on the left shows the Four Seasons Restaurant inside the Ramada Inn courtyard. 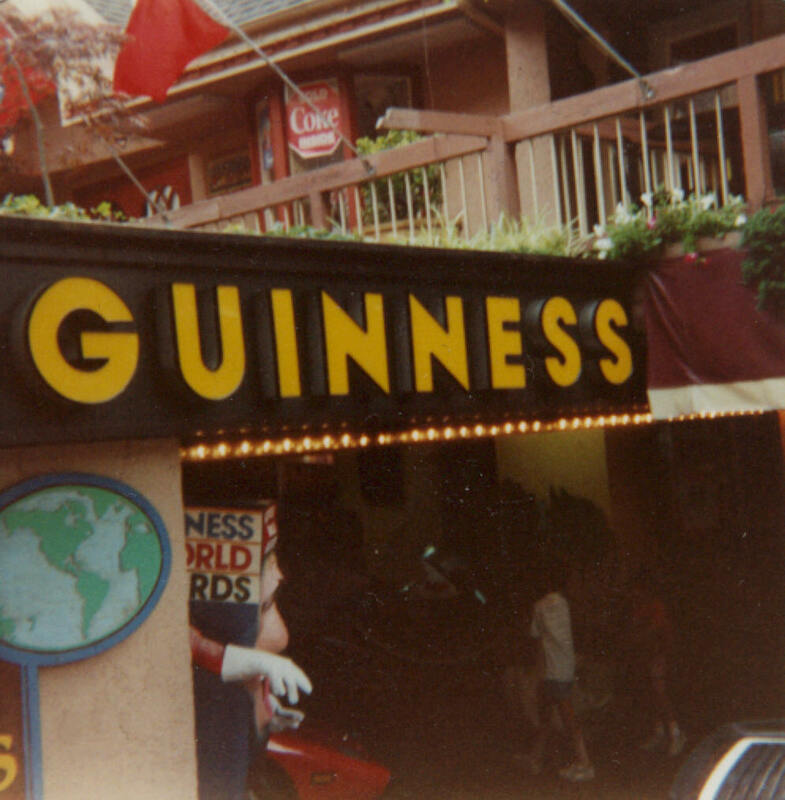 This photo is from the late 80's/early 90's. 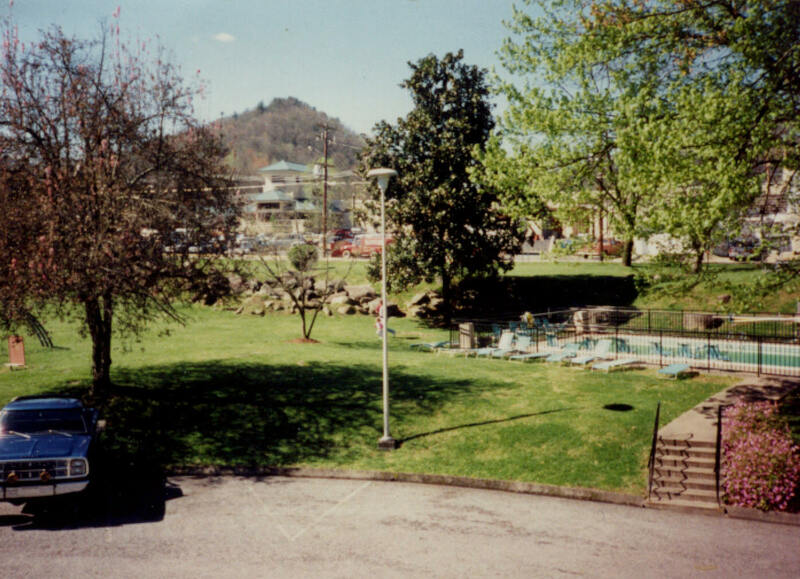 The Ramada Inn became the Four Seasons Motor Lodge in the 2000's as seen in the photo on the right. 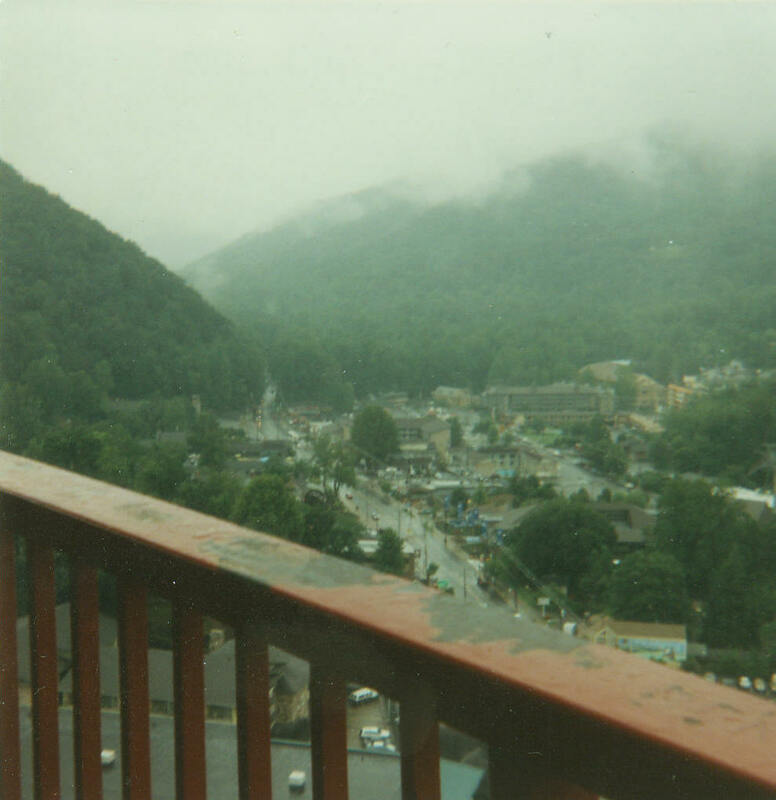 This photo taken after the Ramada Inn had become Four Seasons Motor Lodge was taken from the Parkway looking past the lobby to the first section of rooms. Overview photos of Four Seasons Motor Lodge taken from the Space Needle shows the bulk of the Four Seasons Motor Lodge property looking just as it did when it was the Ramada Inn. The Four Seasons Motor Lodge was demolished in 2016. 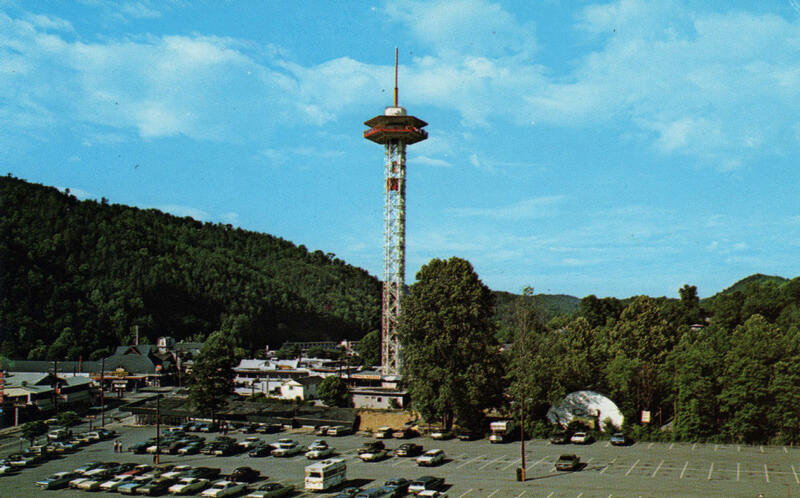 In the early to mid 90's there was an amusement park called Fun Mountain at the corner of The Parkway and East Parkway. The photo on the left shows the sign for the park on the right side of the photo. The photo on the left shows a ferris wheel in the park. The park is now closed although on close inspection you can still find remains of the park. Photo take in the 2010's from the Space Needle show Johnny Rockets and Loco Burro where the Edgewater Whaley Motel and a shop in front of it used to be. 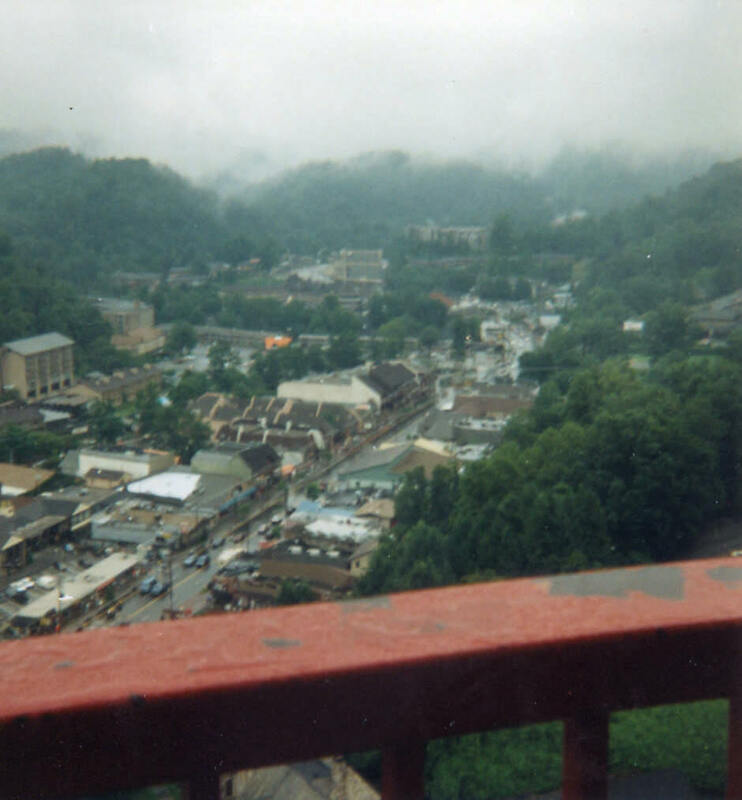 Smokyland Motel and Riverside Motor Lodge can also be seen in the photo. The Mountain Woodcarvers stood at the front of Baskins Square Mall for decades. In the 2010's it moved to upstairs on the right side side of Baskins Square Square Mall and a Winery moved in its previous location.